Manufacturer of a wide range of products which include four panel doors. 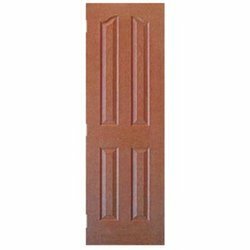 Four Panel Doors offered feature exclusively designed interior doors coming in designs that feature both hollow as well as solid core and can be ,made available in conformance to any finished style including in wood grain or smooth finished appearance. These interior doors also feature style, beauty and affordability and can be made available in popular color combinations to save time and money. Looking for Four Panel Doors ?